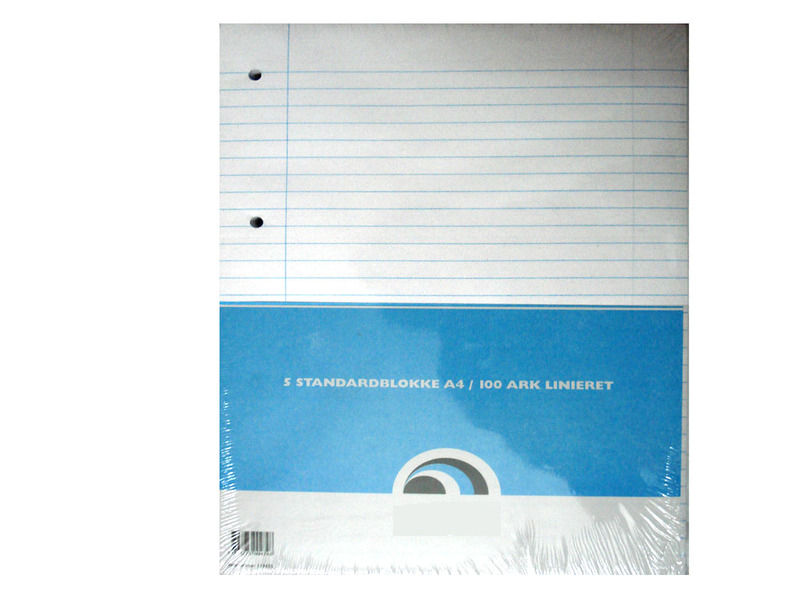 White paper; 100 sheets. Full page size of A4. 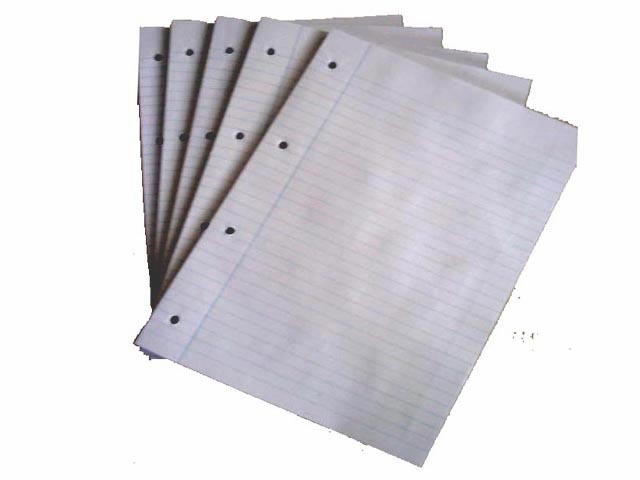 Sheets are Wide Ruled and double-sided to provide plenty of writing space.